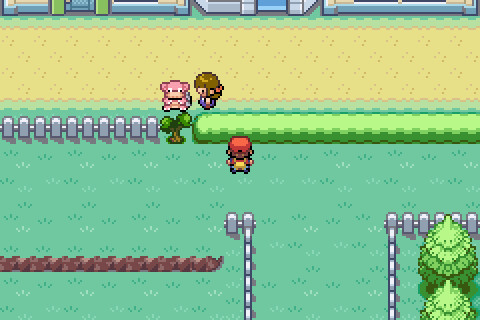 In the zoo in Fuchsia City in front of the Safari Zone, there is an extinct Pokemon. This Pokemon will be either Omanyte or Kabuto -- which one it is depends on which fossil you chose in Mt. Moon. So the question was, If you could get to Fuchsia City without having chosen a fossil, what Pokemon would be shown at the zoo? 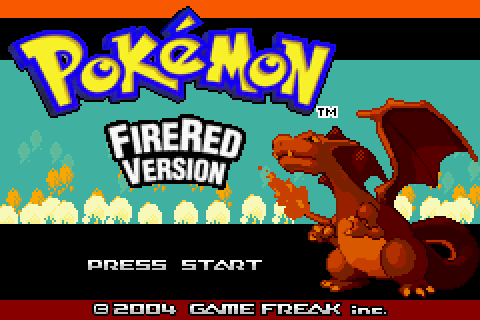 So, I set out to sequence break Pokemon Fire Red version. I decided to use walk through walls cheats to get to Fuchsia City as soon as it was convenient. 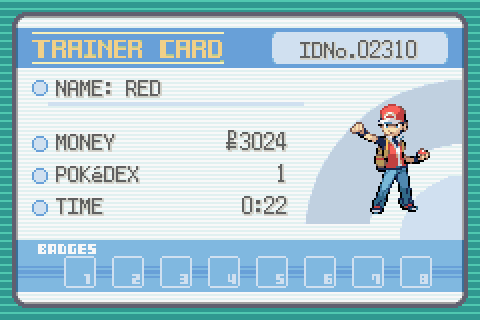 I had to play the game long enough to get a starter Pokemon (I chose Charmander) and a Pokedex, because the game does extremely weird things if you cheat and start battling and capturing Pokemon without having these two items first. 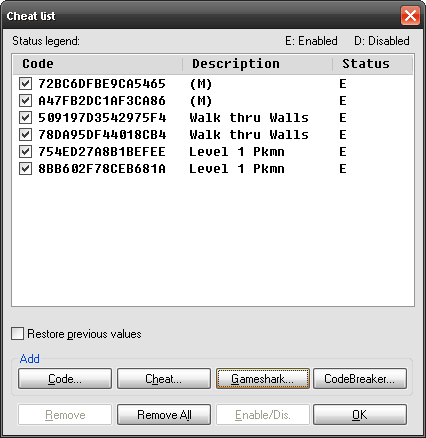 So, enable the cheat codes and get out of Palette Town! 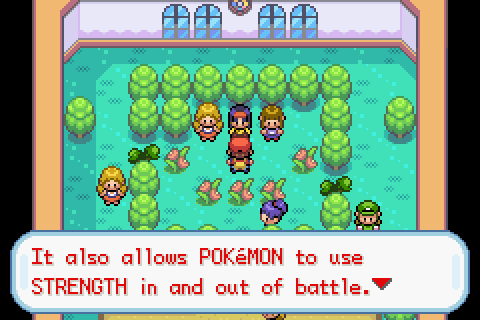 I couldn't find a cheat code that would disable random battles entirely, so I used a "Level 1 Pokemon" cheat so any random battles I do get into will be with Pokemon of reasonable levels. 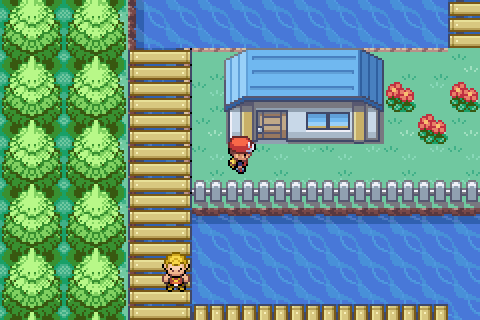 Walking south towards Cinnabar Island. 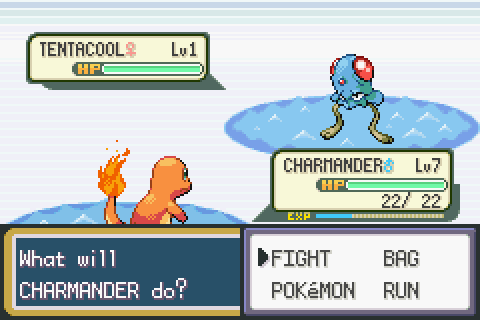 A wild Tentacool decided to fight me. Good thing it's only Level 1. 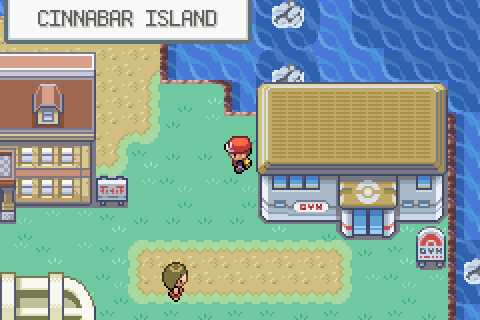 Finally arrived at Cinnabar Island. 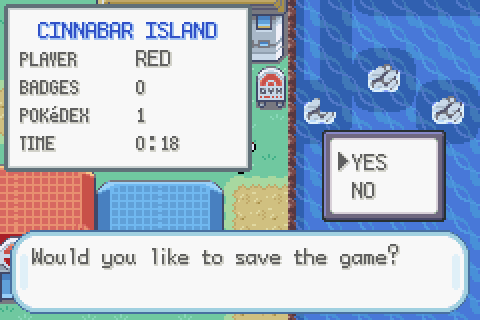 Cinnabar Island with no badges and only 1 Pokemon! Finally arrived in Fuchsia City. 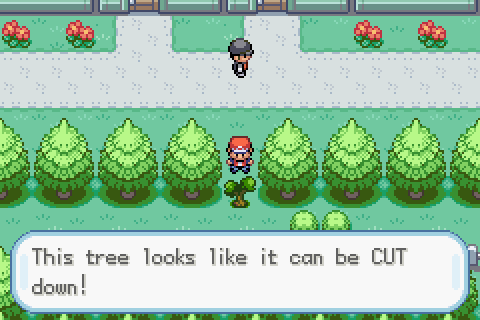 Now that we've finally arrived in Fuchsia City, let's check out the zoo and see what extinct Pokemon is there! Looks like the default is a Kabuto. Mystery solved! 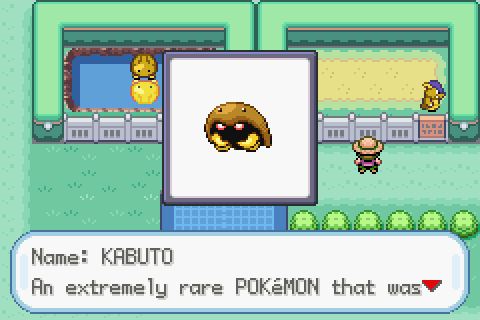 If you didn't choose a fossil Pokemon, it looks like the default is to show Kabuto in the zoo. 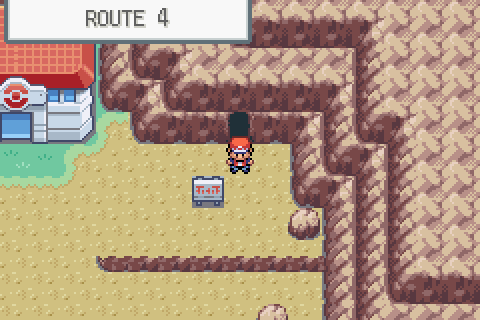 Remember that ordinarily it's not supposed to be possible to get to Fuchsia City without having chosen one of the fossils, because the fossils block your path through Mt. Moon. 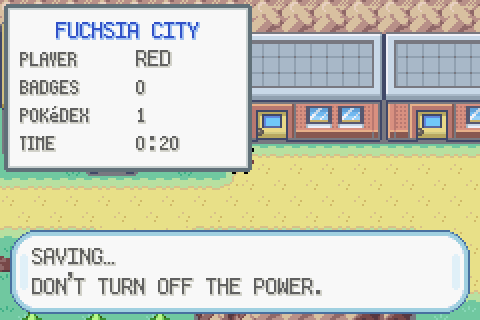 Now that we're in Fuchsia City, can we try to continue the game from here without cheating any more? We should be able to! 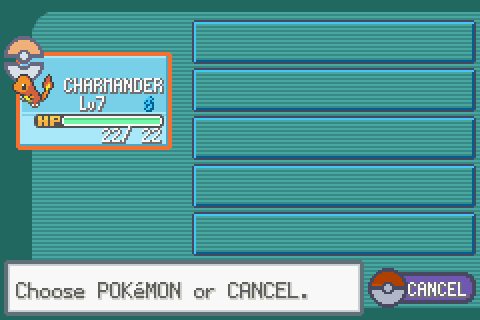 I only have a level 7 Charmander and every Pokemon in this part of Kanto is around level 30, so what can I do about that? 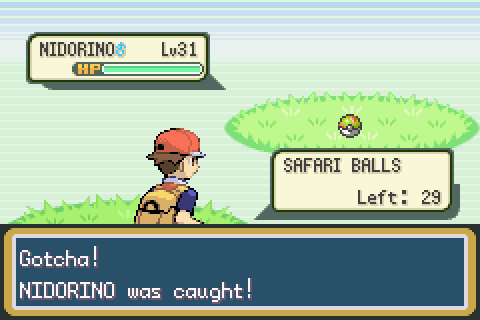 Use the Safari Zone! I can catch wild Pokemon here without having to battle them, and the Pokemon levels will be comparable to the average level of Pokemon in the Fuchsia City area. And I have $3,024 to spend on the Safari Zone game! The first wild Pokemon I run into is a Lv31 Nidorino! 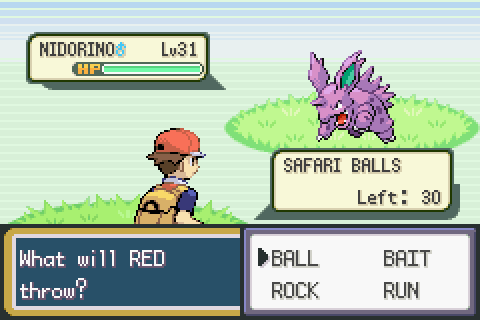 Remember also that the Safari Zone contains the Surf HM. But, I can't use Surf outside of battle until I defeat the Fuchsia City gym leader. Good thing I'm in Fuchsia City! I found the Surf HM inside the Safari Zone. 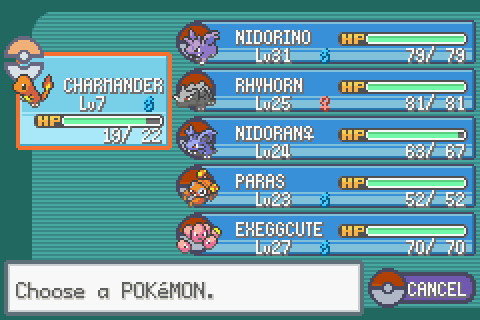 From the Safari Zone, I've captured a Nidorino, Ryhorn, Nidoran♀, Paras, Exeggcute, and Venomoth. 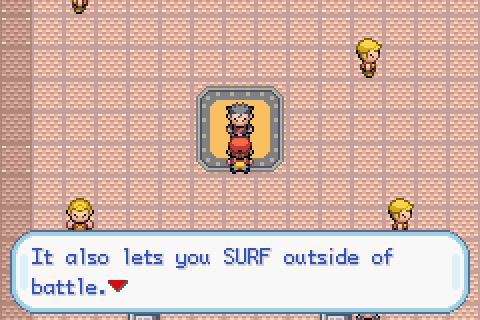 Unfortunately none of my Pokemon are able to learn Surf, so even if I do defeat the Fuchsia City gym leader, how will I escape? But wait! There's a Fishing Guru in Fuchsia City! I can get a fishing rod from him! 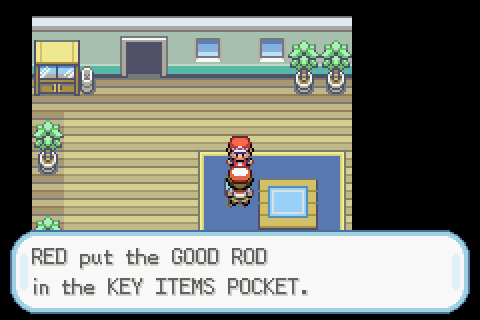 I got the Good Rod. I was wondering for a minute how the fishing rods worked. 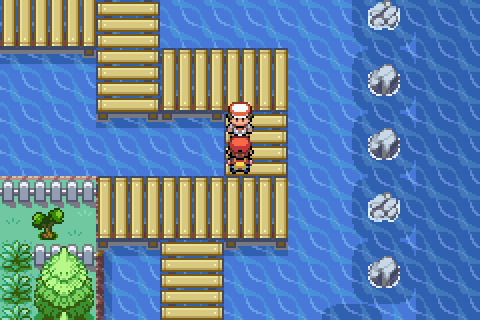 Ordinarily you find the first Fishing Guru in Vermilion City, and you get the Old Rod which can only catch Magikarp. 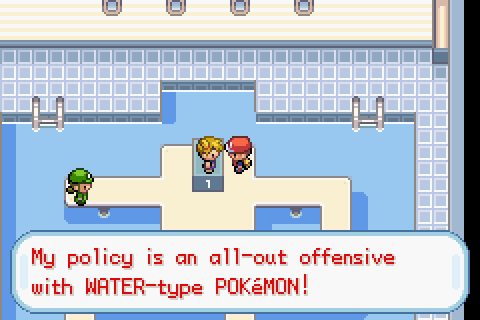 Then you get the Good Rod from Fuchsia City which can catch Goldeen, Poliwag and Magikarp. And then the Super Rod can catch more Pokemon. I was wondering if maybe the rods were incremental, and that the Fuchsia City Fishing Guru would give me the Old Rod since I talked to him first. But apparently the rods are hard-coded, so I got the Good Rod. With this I caught myself a Level 10 Goldeen from the pond in the Fishing Guru's back yard. 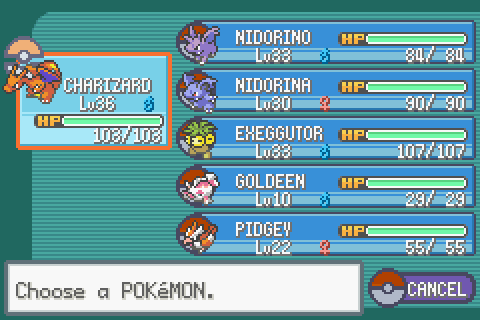 Before taking on the Fuchsia City gym, I need to level up my Pokemon some more. The best place to do that is to head out on Route 15. Route 15 from Fuchsia City to Lavender Town. After battling my way through the Bikers and Bird Catchers, I finally made my way to the bottom of Silence Bridge. Silence Bridge - Route 12. 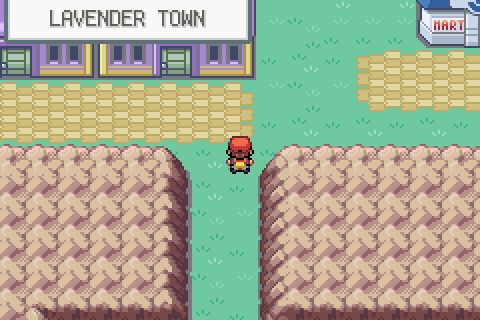 It's a straight shot north to Lavender Town! I found the other Fishing Guru's house and got a Super Rod. With this I can catch Dratini in the Safari Zone. Dragon Pokemon are cool, right? And I don't even have a single gym badge yet! And, here's Snorlax. This Pokemon blocks my access to Lavender Town to the north, and Vermilion City to the west. 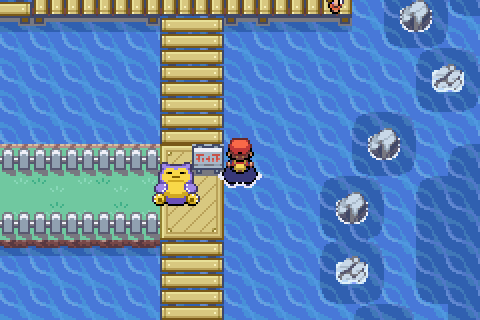 I can't get a PokeFlute to wake up Snorlax until I've already been to Lavender Town and Celadon City. But look! I could Surf right around Snorlax and get to Lavender Town! Now I have my plan. I just need to defeat the Fuchsia City Gym Leader, teach my Goldeen how to Surf, Surf around the Snorlax and get to Lavender Town! 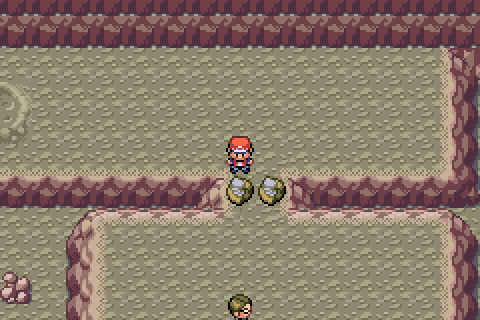 My Exeggcute knows Confusion, which is Super Effective against poison type Pokemon. The Fuchsia City gym is full of poison types, so Exeggcute is my best bet for beating the gym leader. 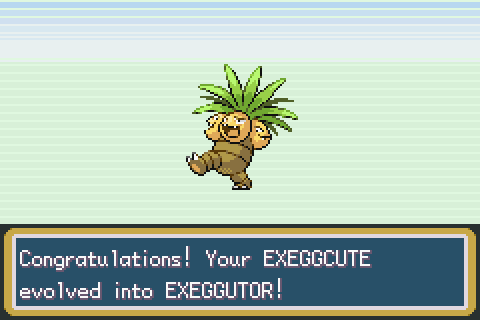 Used Exeggcute to defeat Koga, the gym leader. Now I can Surf around Snorlax! 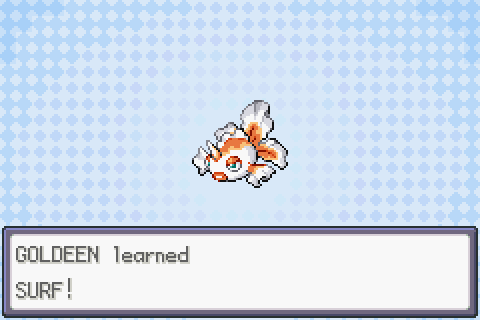 I caught a Level 10 Goldeen with the Good Rod, now let's teach it how to Surf. Sequence breaking at its finest. 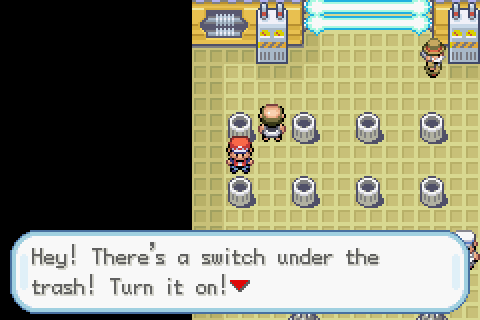 Taking the Underground Path from Lavender Town to Celadon City. 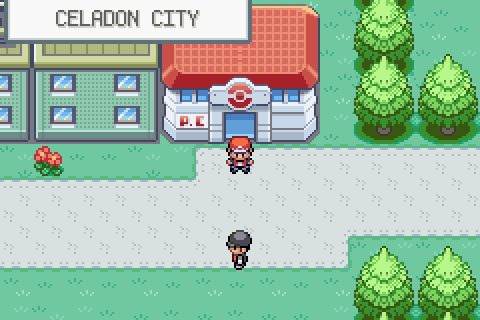 Here we are in Celadon City! 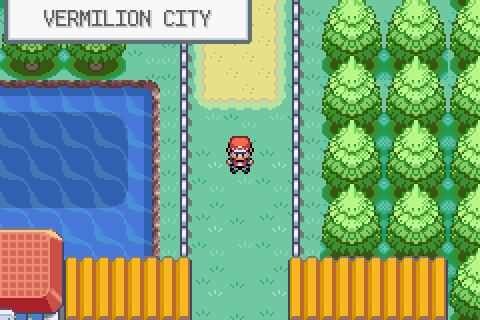 Now I've made it to Celadon City. There's a lot of exciting things I can do here! 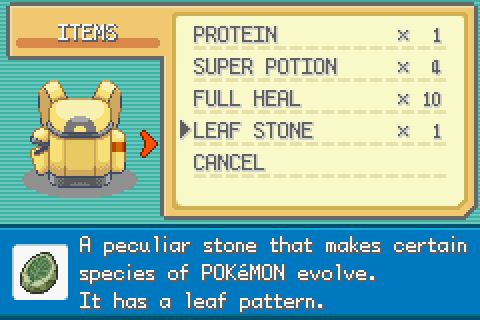 For starters, I can buy a Leaf Stone to evolve my Exeggcute. I bought myself a Leaf Stone. 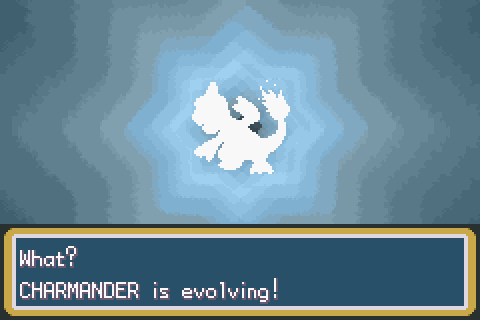 I evolved Exeggcute with it! More power! 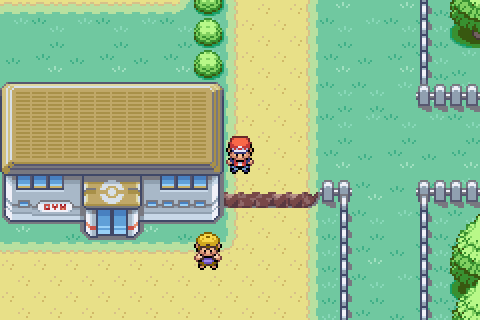 While I'm in Celadon City, I'd love to be able to get straight to the gym and completely destroy the Grass-type Pokemon there with my Charmeleon, but I can't get in! Rain check! 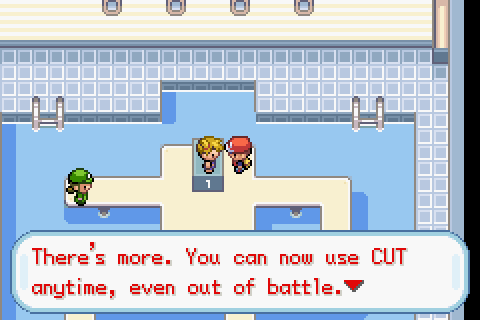 I need to get to Cerulean City and defeat the water Pokemon gym leader to be allowed to use Cut, and I need to get to Vermilion City to actually get my hands on the Cut HM to teach it to one of my Pokemon! 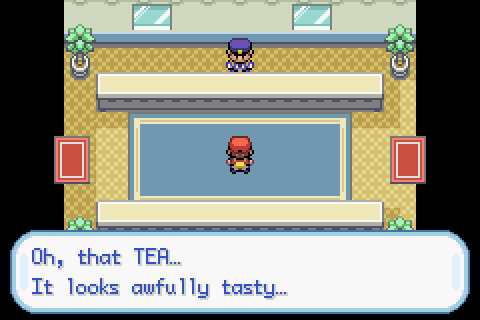 In the virtual Game Freak headquarters in Celadon City, you get the Hot Tea, which you then give to the guards that surround Saffron City and then they allow you into the city. 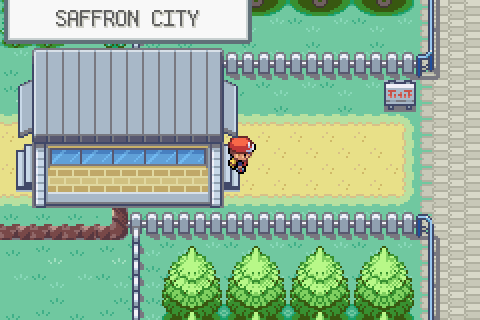 Saffron City is the central hub between Cerulean City, Celadon City, Lavender Town, and Vermilion City. 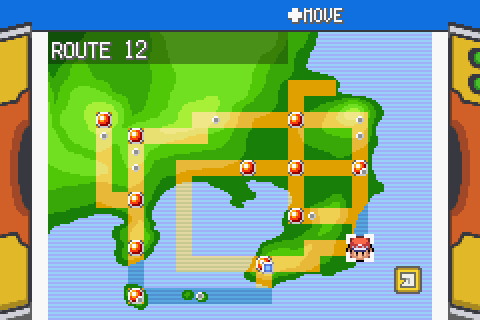 This will allow us to get back to all the major Kanto cities. Now we're getting back on track! Here we are in Saffron City! 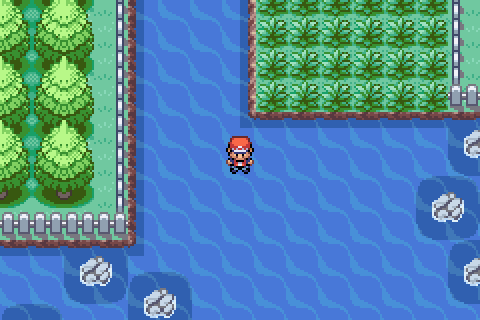 Now, the next place I should go is north to Cerulean City. You can get in to the city without Cut, but you can't get back out. I'll need to see Bill anyway to get the S.S. Ticket, so I can get the Cut HM from the S.S. Anne. So, north it is! North to Cerulean City, south to Vermilion City. The south border to Cerulean City. 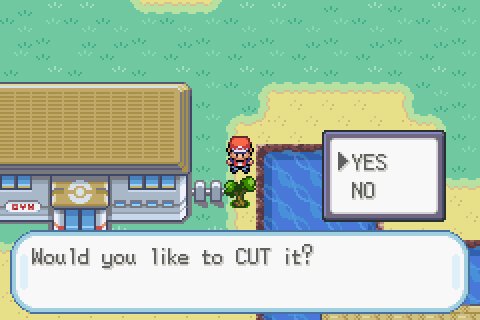 See, this is why you need Cut to get out of Cerulean City. I'm supposed to be on the other side of this wall. But, somebody's stupid Slowbro is in the way anyway. 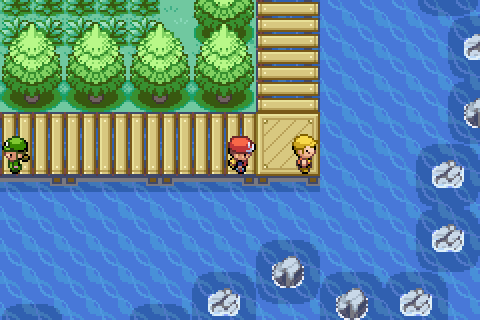 This is how you get into Cerulean City. I'm not supposed to be on top of this ledge. 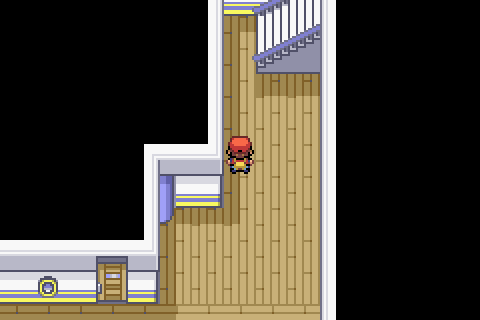 When I jump down, I'll be stuck in Cerulean City until I complete the "go see Bill" side quest. But, I must see Bill so that I can get the S.S. Ticket! 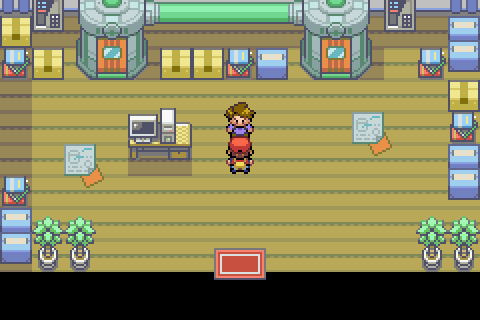 Since the Cerulean City Gym is right here, let's go and beat Misty real quick so we'll be allowed to use Cut once we finally get it. 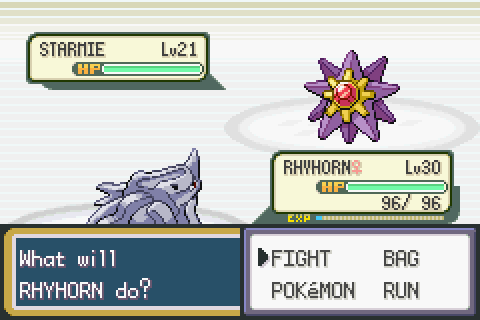 I know Rhyhorn is weak against Starmie, but c'mon. Even Misty's strongest Pokemon is no chance against mine. Thanks! This is what I came here for! 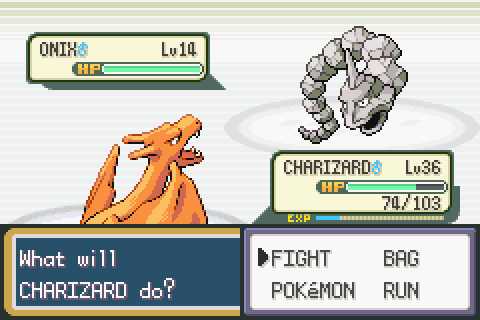 Oh look, it's my rival, Blue! 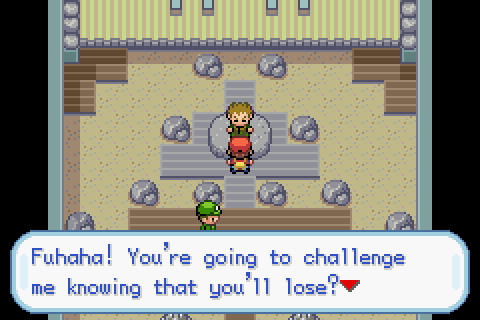 My rival Blue challenges you when you try to leave Cerulean City to see Bill to the north. 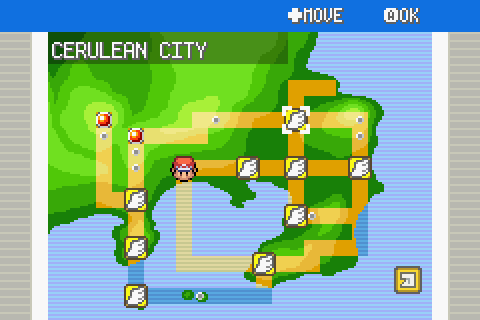 Ordinarily, if you play the game properly, you're trapped in Cerulean City with nowhere to go but north. Blue's Pokemon though are super weak compared to mine. Completely destroying him takes no effort at all. And then I'm off to see Bill, destroying any trainer who gets in my way. I got the S.S. Ticket from Bill here. And with the S.S. 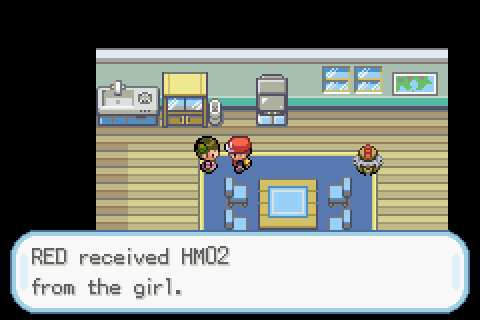 Ticket, I'm able to get out of Cerulean City and head south. I cut through Saffron City instead of taking the underground tunnel and arrive in Vermilion City. 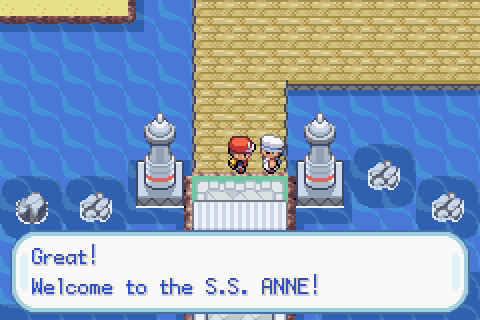 I head straight for the S.S. Anne to get my Cut HM. Now, this is where the first really interesting quirk happened with my sequence breaking. 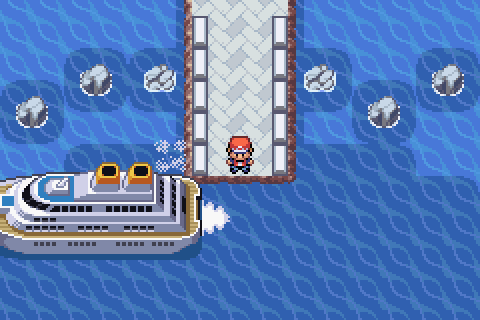 I didn't waste time battling trainers on the S.S. Anne since they don't stand a chance against me anyway, and I headed straight for the Captain's Cabin. Ordinarily, your rival will challenge you to a battle right before the Captain's Cabin. But, Blue was absent! He didn't show up to challenge me. I wonder why? Is it because I have the Fuchsia City gym badge already? Where are you, Blue? Are you too embarrassed to battle me again? I went ahead and got the Cut HM from the Captain. 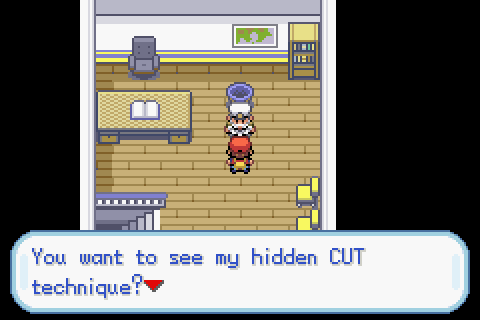 Now, with the Cut HM, I can challenge the Vermilion City gym leader. 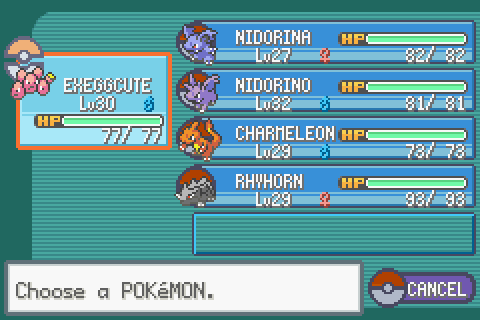 Time to take on the Vermilion City gym! The gym trainers stood no chance against me. 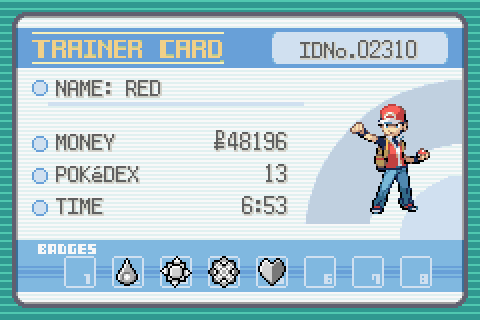 The gym leader also lost spectacularly to my overpowered Pokemon. Now with the Vermilion City gym out of the way, I went back to Celadon City to pwn my way through their Grass-type Pokemon with my Charmeleon. 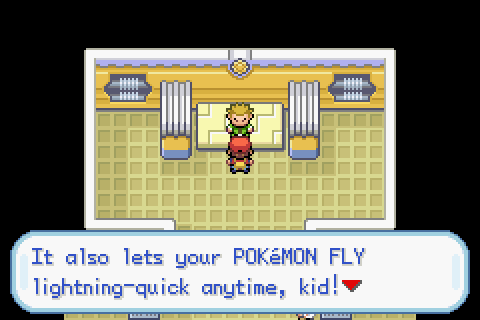 Now, when I defeated the Vermilion City gym, I'm able to use Fly now. I can get Fly in Celadon City, so, let's go get it. Also, I captured a random Pidgey I found in the grass so that I'd have a Pokemon to teach Fly to. My gym badges so far. I never got the 1st badge. Where should I Fly to next? As you can see, I've now been to every city except for Pewter City and Indigo Plateau (but the latter is normal, as that's the very last city you go to). 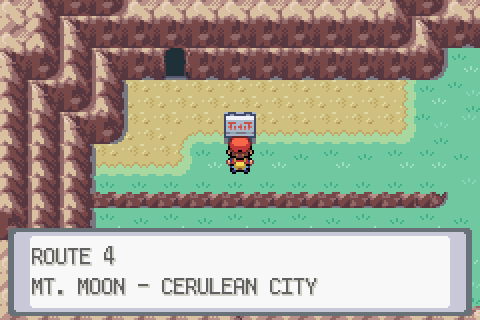 I'm gonna fly to Cerulean City because I have an idea on how I can further sequence-break this game. 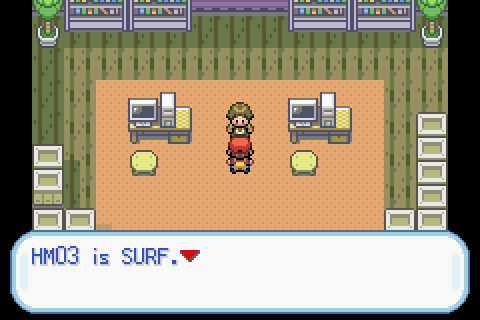 Since I can Surf, I can escape from Cerulean City going west and get to Mt. Moon, and enter Mt. Moon from the wrong side. This will place me on the other side of the fossils, and let me choose my fossil without having to battle the Pokemon trainer who guards them! 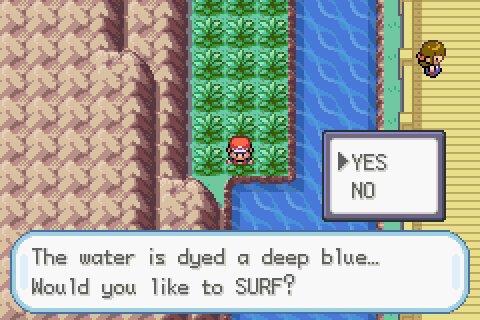 Surfing here to get out of Cerulean City! 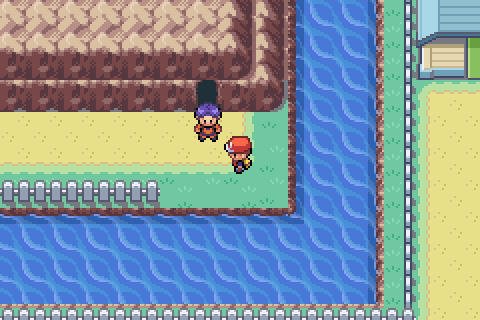 This trainer is blocking the entrance to the Cerulean City Cave, where Mewtwo lives, because you can't get in there until you've beaten the entire game. But I'm not interested in that cave, I'm going to head west to Mt. Moon! Mt. Moon - The back entrance. And here we are. Ordinarily, I would be on the opposite side of the fossils, and I'd have to battle the trainer down there first. 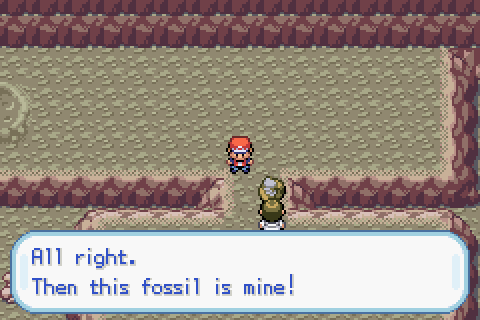 After winning, he'd let me choose a fossil, and he'd take the opposite one. But I'm standing right by the fossils right now! I'll take the Kabuto fossil! The trainer automatically goes and takes the other one. 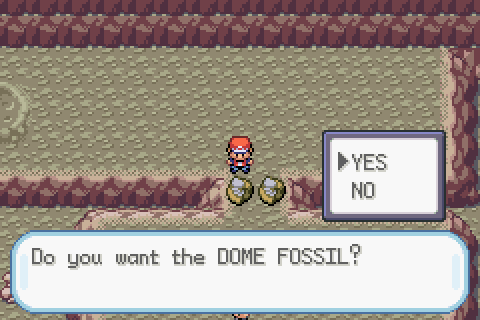 As I expected, taking the fossil has triggered the trainer to take the other one. But, I've skipped the battle with him now! See, look! 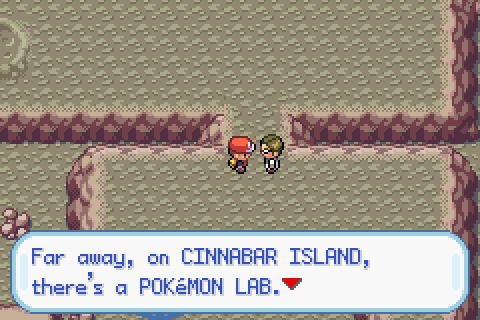 I know, I've been to Cinnabar Island! Through Mt. Moon, onward to Pewter City! I'm positive that you are mistaken. 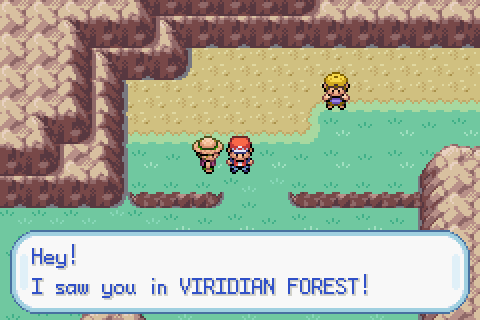 I've never been to Viridian Forest! 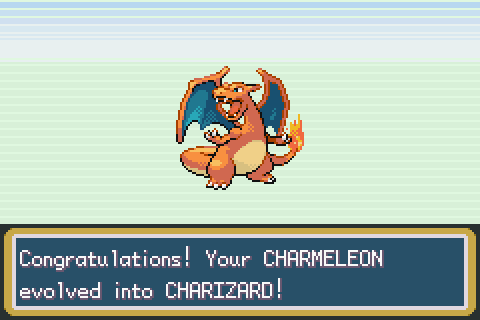 All this excitement has caused my Charmeleon to evolve! Oh. 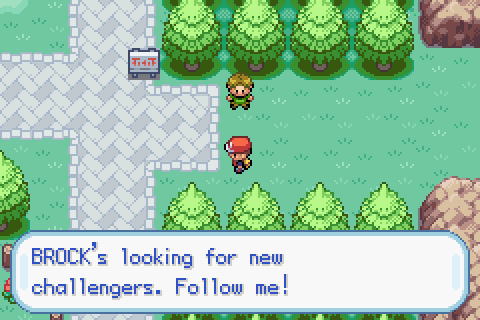 Thanks for the warm welcome to Pewter City. I've encountered Pewter City's "invisible wall" from the wrong side. 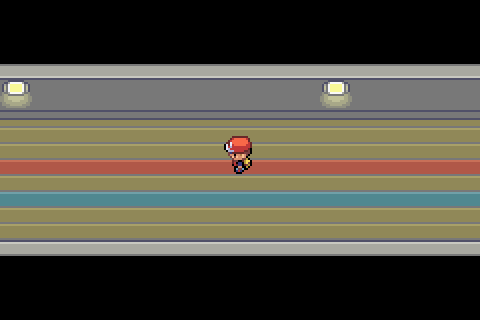 The invisible wall is this trainer who's supposed to stop you from leaving Pewter City until you've defeated the gym leader, Brock. I'm sure I have the right stuff, buddy. Brock's strongest Pokemon doesn't even stand a chance. 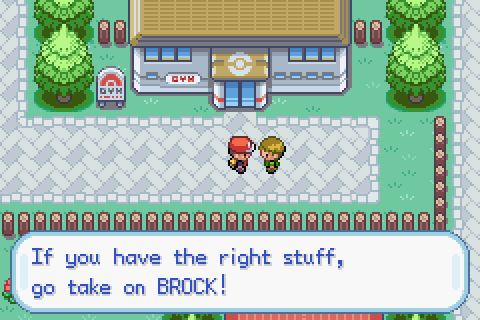 With Brock defeated, I've now run out of ways to sequence-break this game. I have the first 5 badges and have unlocked the paths to every city in the game. This is the point at which the game played legitimately and my sequence-broken game converge. 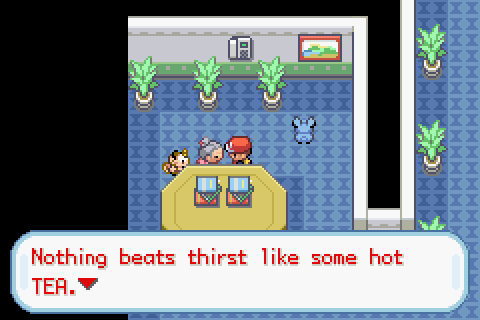 Dude, I was catching Pokemon since before you were programmed. 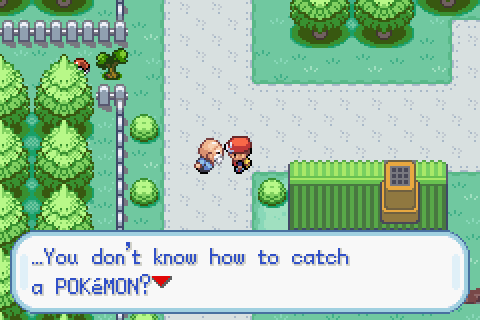 This old man stopped me on my way in to town to teach me how to catch a Pokemon. 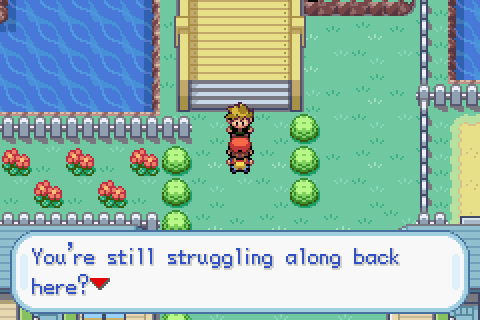 Because I never talked to him before I left for Fuchsia City at the beginning of my quest. 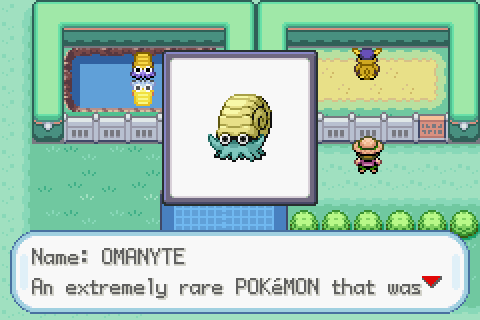 It's an Omanyte! What happened to Kabuto? At this point I'm done with my experiment. From this point in the game, the plot has caught up with me and I'm no longer sequence breaking anymore. I'm at a state in this game where I could've gotten to the same place through legitimate means.